NEW YORK (WABC) -- If there was a time to start to get excited about the New York Giants season, the time is now. It will all start to unfold Sunday night in Dallas with a sharper looking offense than last year. 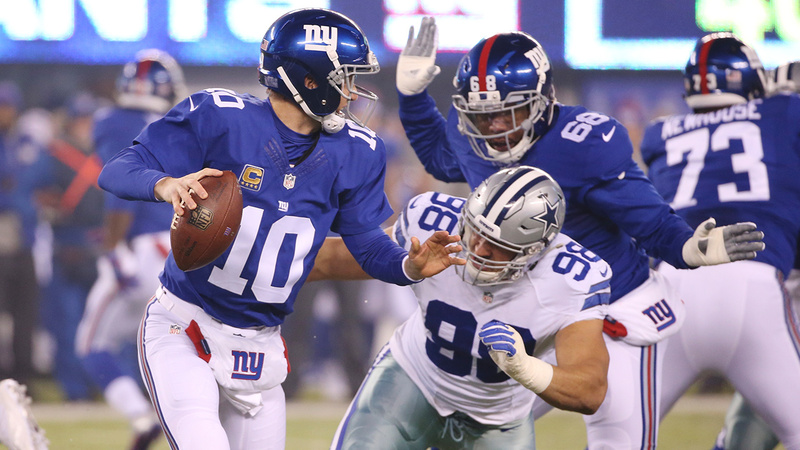 Led by quarterback Eli Manning, the Giants pose an offensive threat to the 31 other teams this season. The two biggest offseason acquisitions were the signing of wide receiver Brandon Marshall, and first round draft pick from Ole Miss tight end Evan Engram. Teaming them up with Odell Beckham Jr. and Sterling Shepard, this presents a lethal offensive attack. Rhett Ellison was also signed in the off season, and is listed as a starter on the depth chart. This upgrade at tight end also gives the Giants an opportunity to show different formations, and will create more havoc for opposing teams in their preparations come game day. Ellison was primarily signed for his blocking abilities. Giving Manning more time, and hopefully be a solution to a struggling running game from last season. The Giants had some inefficiencies in recent seasons at the tight end position. Don't expect this to be a Phil Simms to Mark Bavaro connection, but look for Engram to be a menace for opposing teams in the red zone. His presence free's up double coverage on the wide receivers, and gives Manning more explosive options down the field. Thus making that offense that struggled to put points on the board last season, a thing of the past. The running game is not as exciting as their passing game. Paul Perkins and Shane Vereen top the depth chart at running back. The hope is that the additions at tight end will improve the blocking up front to clear a path. Last season the Giants ranked 29th out of 32 teams with 3.5 yards per attempt. That has to improve if this team wants to be successful. Expect the Giants to have their share of ups and downs this season. But also look for this Giants team to get stronger every week as their opponent draws near. The expectations of this years team are very high, and they should be in the conversation for Super Bowl contenders.